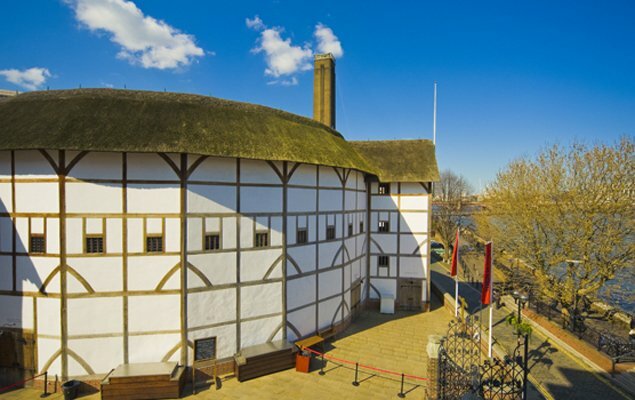 As the days begin to grow longer and the Autumn chill creeps into the air, take a stroll along the River Thames to Shakespeare’s Globe Theatre. 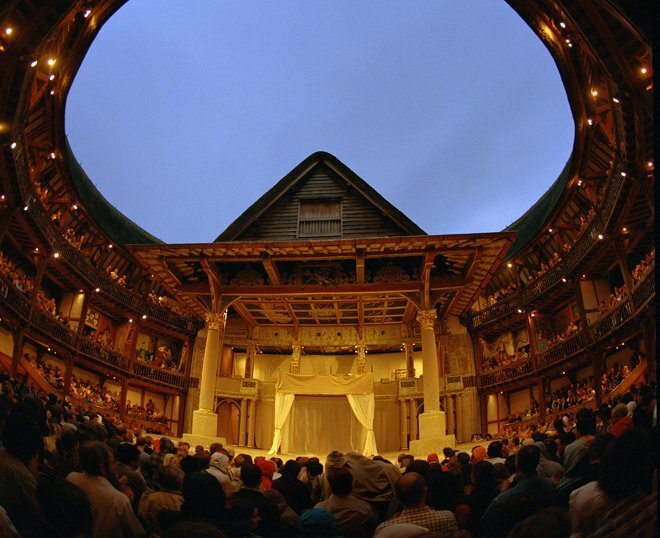 Whether you’re a first time visitor to the city, or seasoned Londoner, attending a performance at the Globe will leave you spellbound. While the original theatre was demolished in 1644, the reconstruction has been as faithful as possible to its namesake, with few concessions made to the modern world. Inside this charming theatre of solid English oak and traditional thatching, the performances themselves stay true to their era. The costumes are designed using traditional methods from Shakespeare’s day, music accompaniments are played live and modern sound and lighting equipment are done away with altogether. The attention to detail and the genuine passion that the dedicated cast have for their craft combine to create an experience that will transport you back through the ages to Elizabethan London and bring Shakespeare to life in a way no other theatre experience can. 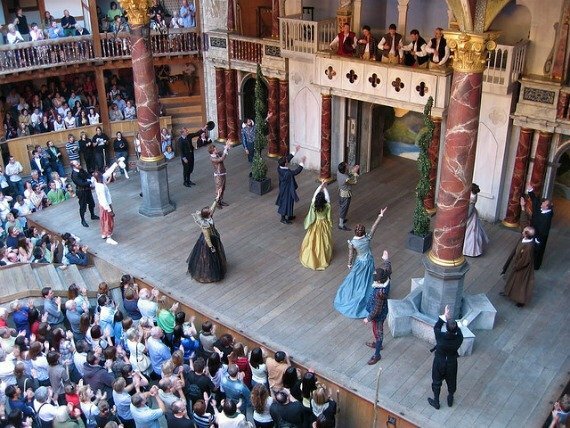 Shakespeare’s Globe Theatre – Interior. Photo by Manuel Harlan. 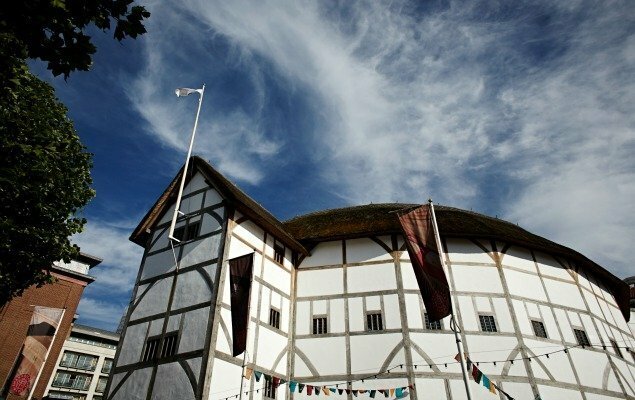 This Autumn the Globe offers audiences the opportunity to experience two of Shakespeare’s plays, Measure for Measure and Richard II, the way they were meant to be experienced. 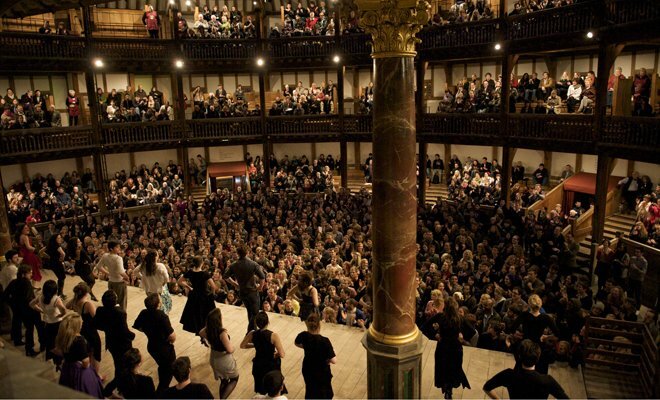 Measure for Measure was performed for the first time in the original Globe. Showing now through October 17th, it is back to charm audiences, having lost little of its social relevance or humor over the centuries. RICHARD II at the Globe in London. Photo by Johan Persson. 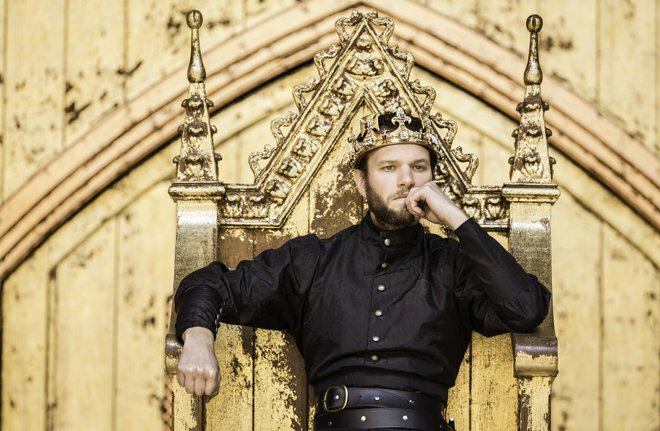 Richard II will be performed throughout September and October, exploring the struggle for power and the burdens that accompany responsibility through the grave eloquence of Shakespeare’s craft. Experience the excitement of a Shakespeare production like the audiences of his day and book a ticket in the Yard for £5, or reserve a seat in the galleries above. A beautiful evening setting at the Globe Theatre. Photo by John Tramper. 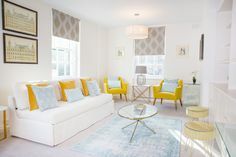 Several performances this Autumn will also be held in the intimate setting of the candlelit Wanamaker Playhouse so if the cold weather is giving you second thoughts be sure to check the website for these dates. For a truly enchanting night however, you can’t miss the midnight matinee performance of Much Ado About Nothing, held beneath the Autumn stars in the second week of September. 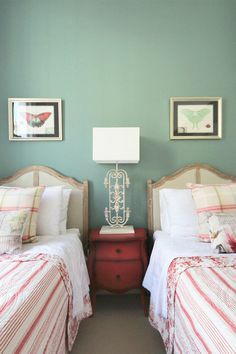 NEXT: Keen for Green? 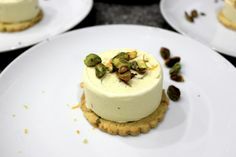 Visit Kew Gardens for a Spicy Festival! Posted on Tuesday, August 25th, 2015 at 10:46 am in London Theater. You can follow any responses to this entry through the RSS 2.0 feed. You can leave a response, or trackback from your own site.